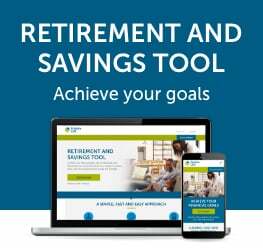 If your investment manager’s strategy is to invest in high quality Canadian stocks, however, 2016’s performance may have seemed disappointing when compared to other Canadian equity funds. This article is not a recommendation to abandon high quality investing, but as a reminder that historically winning strategies will likely have periods when the strategy is out of favour. 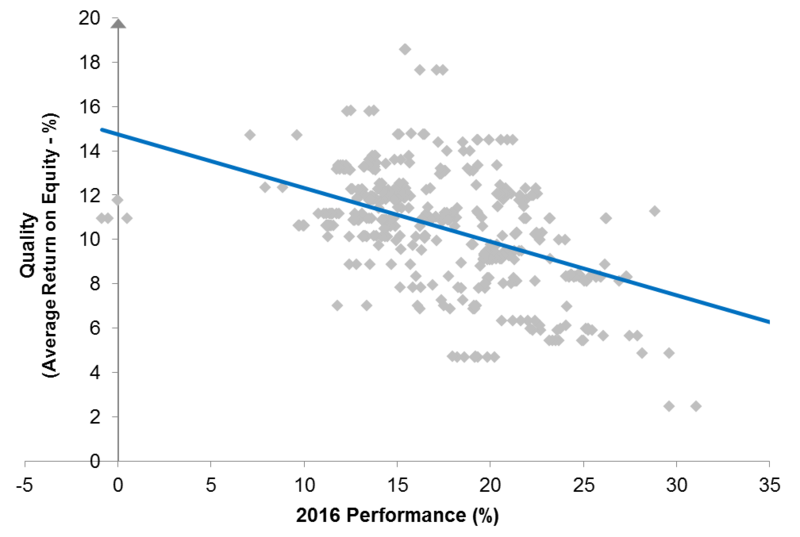 2016’s negative correlation between quality and performance manifested in the Canadian Equity mutual fund category. The following scatterplot shows funds in the category (the grey dots) with 2016 performance on the horizontal axis. On the vertical axis is the measure of quality, return on equity (ROE)1 . Although the negative correlation can be seen in the distribution of grey dots, the trend is more clearly represented in the slope of the blue trend line2 . Perhaps more interesting, however, is how most of the higher quality Funds in the category outperformed the 12.8% return of the high quality index mentioned above. This further supports the case for active management; in this case against a strategic beta (quality factor) passive strategy. Longer term trends reinforce the benefits of a high quality strategy. 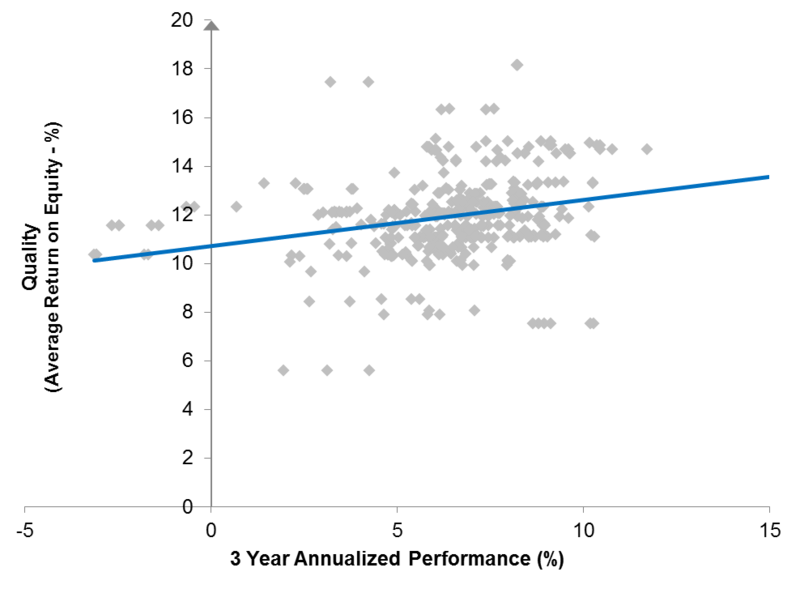 Extending the data window out a further two years, the following three year scatterplot overcomes 2016’s challenging dynamics and results in a positively sloping trend line, translating to a positive correlation between quality and performance. Investing in high quality companies at attractive valuations remains a core strategy at Empire Life Investments. We recognize the ebbs and flows of market sentiment may result in our style being out of favour for periods, but we remain disciplined to deliver on our goal of building wealth over the long term for our clients with reduced downside risk.